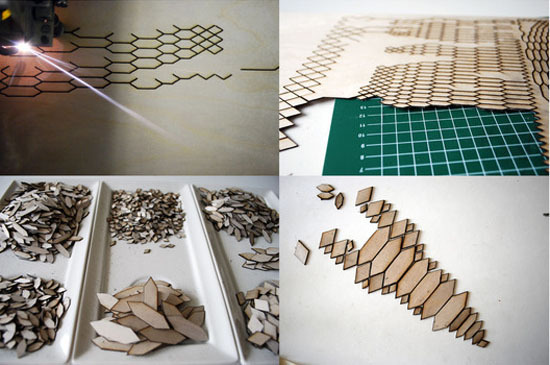 Wood cutouts normally are discarded to landfills as they can never be used again being a cutout but in the case of the Nieuwenhuyse Eco-fashion Collection. 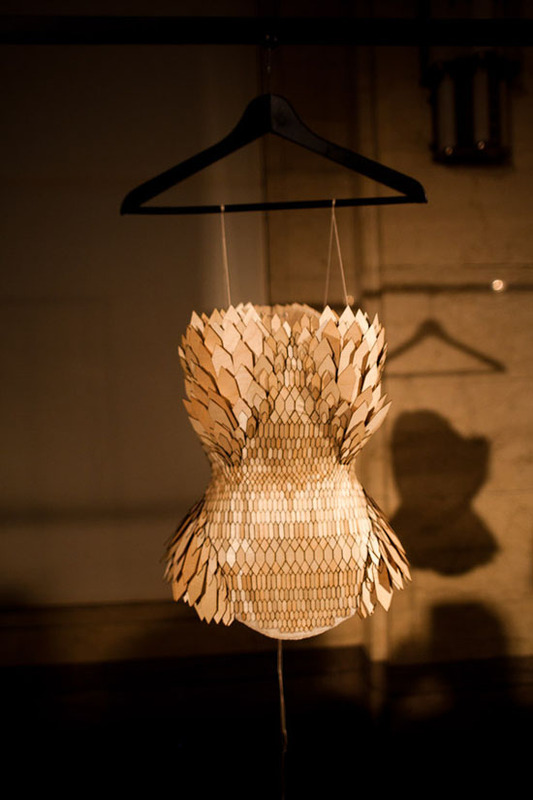 Fashion designer graduating student Stefanie Nieuwenhuyse was able to create a stunning fashion collection out of the plywood cutouts. 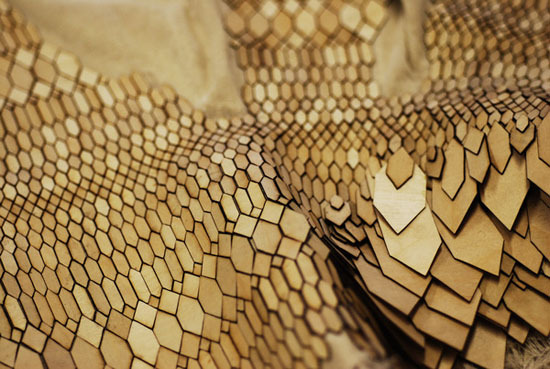 Nieuwenhuyse collected the wood cutouts from her school’s workshop, put them together by gluing the wood cutouts together in fabric or cotton, and was able to create a wonderful collection of dresses and other designs create an image similar to a snakesking. 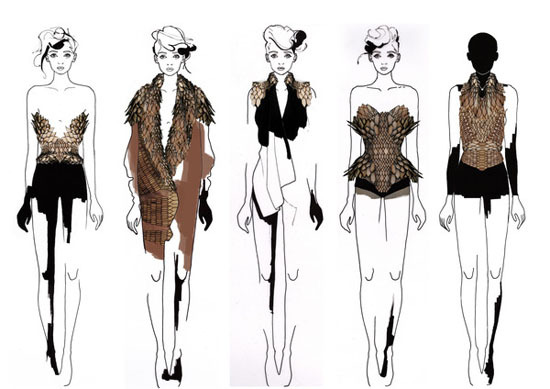 The Nieuwenhuyse Eco-Fashion Collection will be presented at the London Fashion Week and was completed in collaboration with InCrops Enterprise Hub, a bio-waste company.